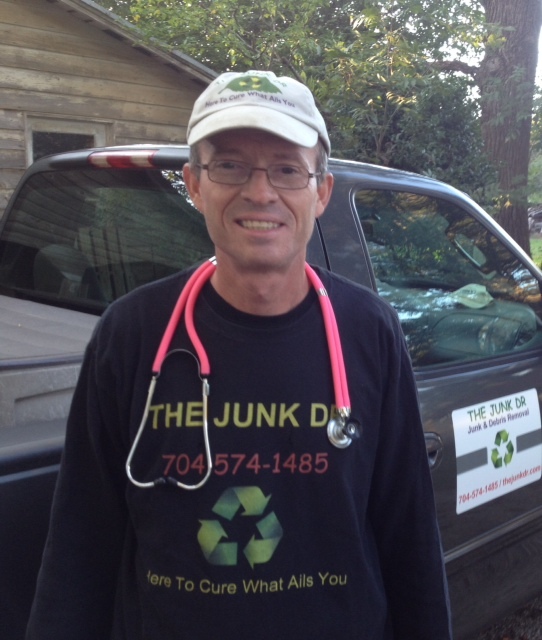 THE JUNK DR will always do his best to help find a solution to your junk removal emergency. Unfortunately, due to local laws, regulations, weight restrictions and safety issues, there are some items THE JUNK DR is unable to remove and others that may be hauled only in limited amounts. As with any business, safety is first and foremost and the junk removal business is no different. Some items such as shingles, concrete, cement and asphalt are extremely heavy and THE JUNK DR is limited on how much he can haul at one time. While other items like gasoline, kerosene and explosives are hazardous and can’t be hauled at all. Below is a list of many of the items that fall into these two categories. If you have any questions, please feel free to contact THE JUNK DR directly @ 704-574-1485. Or if you prefer to send an e-mail just visit the contact page. THE JUNK DR does not like to inconvenience his patients and as always, will do his best to point you in the right direction if unable to perform a procedure. Thanks and have a wonderful day! !